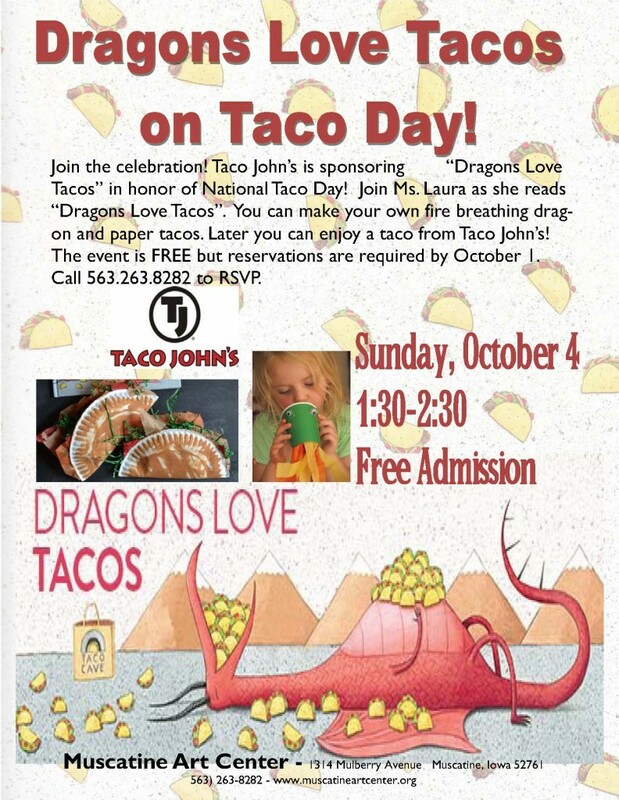 The Muscatine Art Center invites families to join us in celebrating National Taco Day! Sponsored by Taco John’s, families can enjoy a free taco to top off the afternoon of fun. After all, dragons love tacos. If we have plenty of tacos nothing could possibly go wrong at our party. Unless the dragons accidentally eat spicy salsa… And if a dragon accidentally eats spicy salsa. . . oh, boy. We’re in red-hot trouble.